Fresh Relevance is the real-time marketing hub for online retailers. Fresh Relevance supports Universal Variable. This is not a single eCommerce store, but a standard data model that's supported by an increasing number of stores. Its purpose is to reduce cost and give you a greater choice of tools. Universal Variable itself is completely open source and free to use: here is the specification. Fresh Relevance sends real-time, Cart and Browse Abandonment emails to the customers of your Universal Variable-enabled eCommerce store. The emails are personalized, including product pictures and links back to your store, making it simple for lapsed customers to return and buy. We also provide real-time data feeds to personalize your regular emails and Web pages, real-time analytics to target your marketing better, and extensive real-time reports. Fresh Relevance also supports the W3C Digital Data Layer - a related specification from the World Wide Web Consortium (W3C). Real-Time Product Recommendations on your Website. Personalized HTML smart blocks, such as announcements and Countdown Timers (example). Real-time reports on website performance, such as what your visitors are doing right now. Personalize emails with real-time content such as product recommendations, hero images for Gmail grid view and smart blocks such as count-down timers (example). Send recovery emails to call back abandoning customers within minutes. 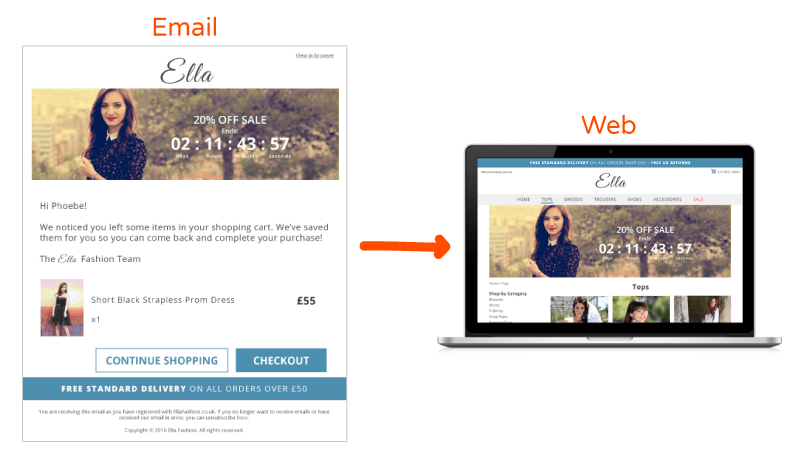 Real-time emails are an essential marketing tool for shoppers who abandon their carts, with very good ROI. Use different recovery programs for different types of shopper (advice) and send a sequence of 1, 2, 3 or more recovery emails. Fresh Relevance is the comprehensive personalization platform for digital marketers that drives revenue and loyalty by delivering a targeted cross-channel customer experience. Powered by real-time data and machine learning, Fresh Relevance seamlessly works with the existing martech stack, unifies siloed data and tracks all customer behavior. 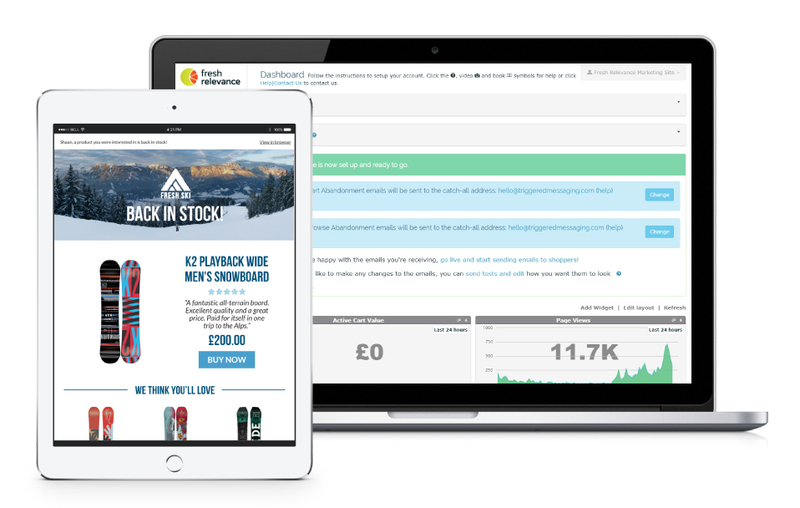 Providing unique, actionable insights into each shopper, the platform helps select the most relevant tactics from an unrivalled range of digital marketing tools to guide customers along their journey across channels and devices.